Training…And where you should Start. First thing first! When I’m training a new client there are some essential things I believe a person should learn. Disclaimer- Always be cleared by your doctor for physical activity especially if you are coming back from an injury or a surgery. Once you have done that you are ready to go. My top 5 movements to start your fitness journey with are. 1)Push Movement ie-Push up- A push-up can be done on the floor, on your knees, on a bench, bosu or stability ball. This movement activates your chest muscles and gets core work involved as well. 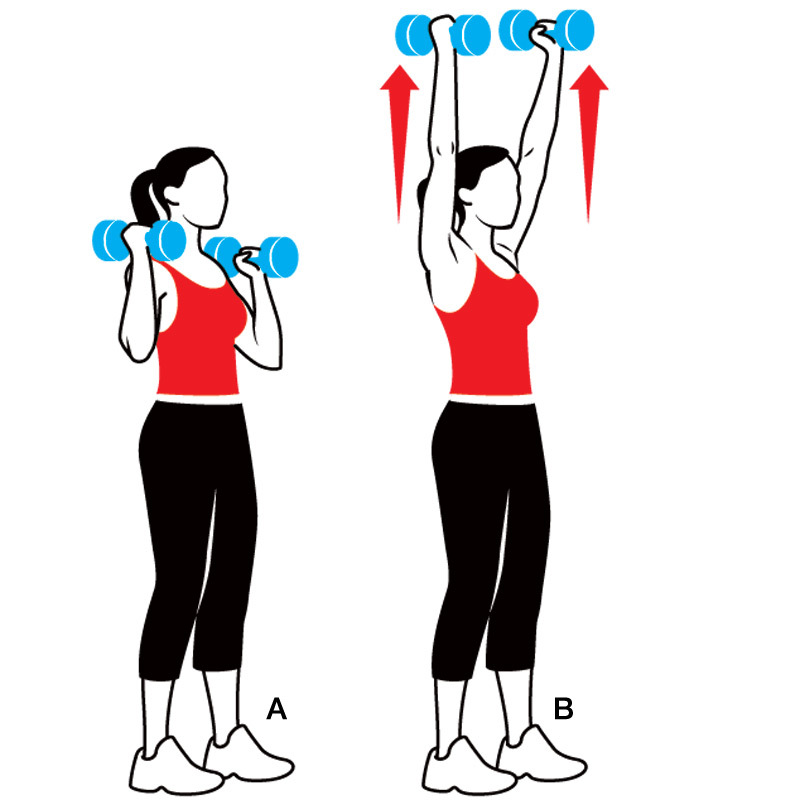 2)Press Movement Ex-Shoulder Press, Leg Press, Chest Press. This movement forces weight away from the body. With a slow concentric movement towards the body, and usually an a faster eccentric contraction away from your body. 3)Pull -A pulling motion. The best example is a pull-up, lat pull down, or a seated row just to name a few. Most pulling exercises activate the back muscles, lats,rhomboids and rear delts. Just to name a few. 4)Squat- (My personal fav!) Doing a proper squat is vital because your knees are a big part of the equation. Knees over toes, your weight set to the back of your heels. And don’t lean forward too much. Your legs have some of the biggest muscles in your body. They provide a lot of calorie burn when muscle starts to develop. So, when you get the form down progress this exercise by adding moderate to heavy weight. 5) And last but definitely not least CORE!!!! Everyone’s trouble zone. 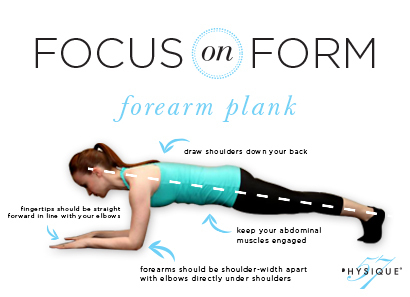 One of the best ways to start is a plank. The plank works all aspects of the abs. and the isolation of the exercise helps keep you engaged for an extended period of time that is longer than a crunch. I like to keep it interesting with my clients so I have them do (london bridges) which is dropping your hips side to side in the plank position, or toe tapping side to side. The longer you can hold this exercise, the better! But, one of my pet peeves is when people look at their toes. When you do this it rounds the back, stresses the shoulders and disrupts proper breathing in the position. Make sure to have a neutral spine looking slightly forward and down. And you will be on your way to awesome abs! These five movements are the foundation for any productive effective workout. Form is a primary focal point when it comes to doing any movement. If you don’t have correct form you can seriously injure yourself. The problem that most people have with form (especially men) is it requires one to use less weight then what they would like, and some feel they are not working as hard or getting the full benefit of the exercise. But, in the long run it will save you from enduring a lot of pain and possible injury in the long run. So, that’s it friends I hope this helps you out if you are at your local gym staring at the weights not sure where to start. Each exercise can be done in a circuit 2-3x’s 12-15 repetitions for each exercise. Go to your gym with confidence and a plan! Previous Post New Year, New Goals, New You! Next Post DIETS, DIETS, DIETS!!!!! !